Southern rock groups ruled the charts in the 1970s with their unique mix of hard rock, country and often conservative politics. Although the 1970s were the heydays of southern rock, in the late 2000s, this distinct genre was successfully revived by groups like Kings of Leon, who embraced the sounds and the fashions of their predecessors. 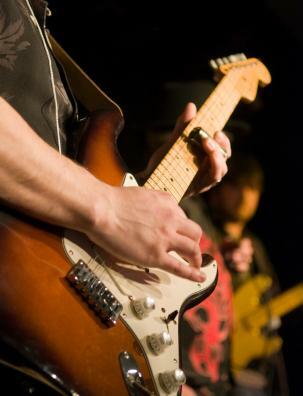 As a genre, Southern rock isn’t simply defined as rock music by musicians from the Southern US. The South has a long history of musical traditions, ranging from blues to R&B, country and of course, rock – in fact, many people credit Sun Records in Memphis with inventing rock and roll, thanks to their roster that included Jerry Lee Lewis, Carl Perkins, and of course, Elvis Presley. The Sun Records brand of rock music isn’t what fits into the subgenre of Southern rock, however. Rather, Southern rock refers specifically to a brand of hard rock than incorporated influences of other traditional Southern genres, especially the blues and country, but also soul, gospel and even Dixieland jazz. Lyrically, Southern rock made reference to Southern locations, culture, political conflicts and history. Southern symbols, like the Rebel flag, were an important part of the fashion and identities of the musicians of the genre. The Allman Brothers Band was formed in Jacksonville, Florida, and brothers Duane and Gregg Allman are considered to be the godfathers of Southern rock. Their blues and country-tinged hard rock won them instant fans, but the 1971 motorcycle accident death of Duane Allman looked like it might derail the band just as it was taking off. After taking some time out and adding a few new members, the Allman Brothers Band burst back onto the scene in 1973 with their trademark hit Ramblin’ Man. The Allman Brothers' live shows were marked by jazz-influenced improvisational sessions, which would go on to inspire so-called jam bands like Phish and Widespread Panic in later years. Where The Allman Brothers Band seldom played up their Southern roots, Lynyrd Skynyrd shouted them from the rooftops. They mixed hard rock and metal with stories of Southern life, roots and symbolism, and the Rebel flag was a constant presence at their live shows. They were instant stars after their 1973 debut and toured nearly constantly between 1973 and 1977, drawing tens of thousands of fans to their rowdy, alcohol- and drug-fueled shows. In 1977, the band boarded a plane in Greenville, South Carolina, that crashed when it ran out of fuel in Mississippi, en route to Louisiana. Among the casualties was founding member Ronnie Van Zandt. The surviving members disbanded after the crash, but reformed in different combinations over the years for tours and one-off shows. Though the original band was short-lived, songs like Free Bird and Sweet Home Alabama are iconic Southern rock classics. Texas-based ZZ Top gained mainstream success in the 1980s, thanks to a string of MTV friendly videos (think Legs and Sharp Dressed Man). Those songs nodded towards pop rock, however, and were a departure from their distinctly Southern rock roots in the 1970s. In addition to the traditional Southern rock influences, ZZ Top tapped into Texas sounds to add elements of Mexican and Southwestern music to their sounds. They are the longest enduring Southern rock band and still tour with their original line-up. The Doobie Brothers are one of a number of groups who weren’t actually from the South but who embodied Southern rock. The group formed in Northern California and spent most of their career there, but they looked to New Orleans and the Muscle Shoals, Alabama, sound for their influences. Their signature tune, Black Water, is a Southern rock staple. CCR is another Southern rock band with Northern California roots. To listen to CCR records, you’d think they had grown up on the bayous, but in fact, they were San Francisco born and raised. They contributed several important tunes to the genre, including Proud Mary and Bad Moon Rising.